The official video game merchandising retailer known as Merchoid has yet another batch of Zelda items to give your house some much needed gaming decorations. 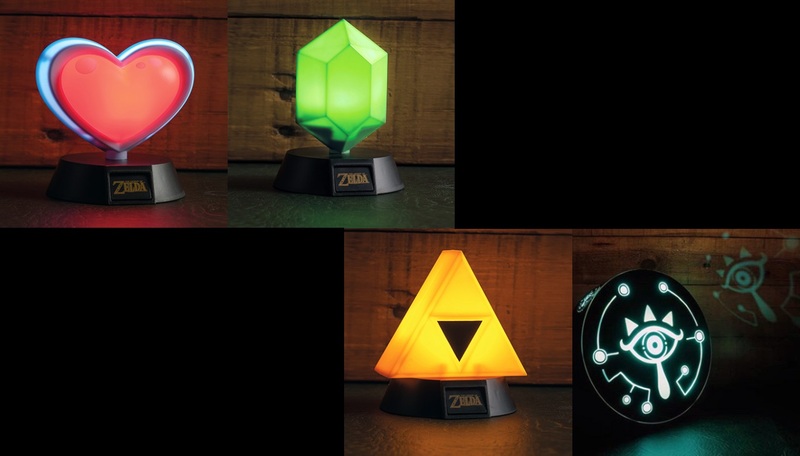 This time they’re lighting up your living establishment as they have announced a fresh lineup of official Nintendo lamps, including some iconic Zelda symbols. 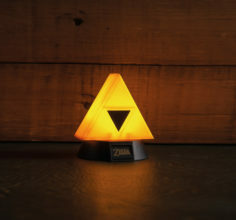 Known as the Nintendo 3D Mini-Lights, these new line of lamps will features four designs inspired by the Zelda series. The biggest of these four is what is being called the Out of the Shadows Sheikah Eye Projection Light and projects the symbol most commonly seen on the Sheikah Slate in Breath of the Wild. 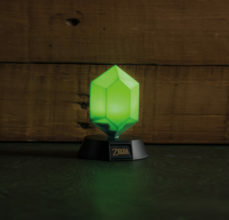 This lamp will run you about $39.99 USD/£32.99 GBR/€34.99 EUR, and there are currently only five left available to preorder as of this writing. 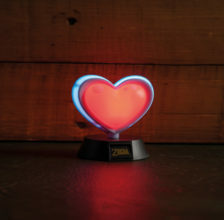 The other three Zelda 3D mini-lights include the Light Up My (Extra) Life Heart Lamp, Get The Green Light Rupee Lamp, and Dawn of Light Triforce Light, representing the Heart Container, Rupee, and Triforce, respectively. The price for each of the three lamps is $18.99 USD/£12.99 GBR/€14.99 EUR, and there are just a few left to preorder. 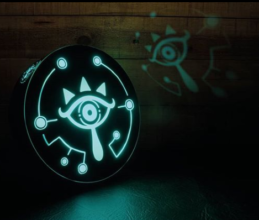 The Sheikah Eye Projection Light will be shipping on March 5th, while the other three lamps will be shipping on March 16th. You can get a closer look at all four of these light-up emblems in the gallery below. What do you think of these new Zelda 3D Mini-Lights? Will you be purchasing any to liven up your home? Let us know in the comments below!